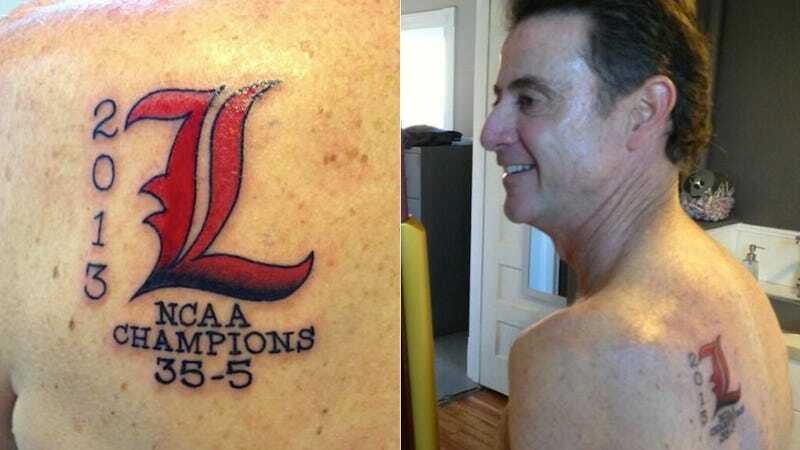 Pitino promised us that he would get a tattoo to commemorate his team's 2013 championship run, and he has followed through on that promise. It's a perfectly fine tattoo, I guess. Although we were hoping for something with a little more oomph.